As our economy has grown, so too has the need safely connect people and cargo in Northern BC with the Interior. Here is a sampling of three projects, one in the preliminary stages and two in progress in the Northern Region. Extending the continuous four-laning of Highway 16 that begins before the Highway 16 and 97 intersection to within the Prince George city limits will reduce congestion and provide safer opportunities for merging, exiting, and passing. Pre-work on this project measured how stable the soil was along Highway 16, including in a nearby pond. 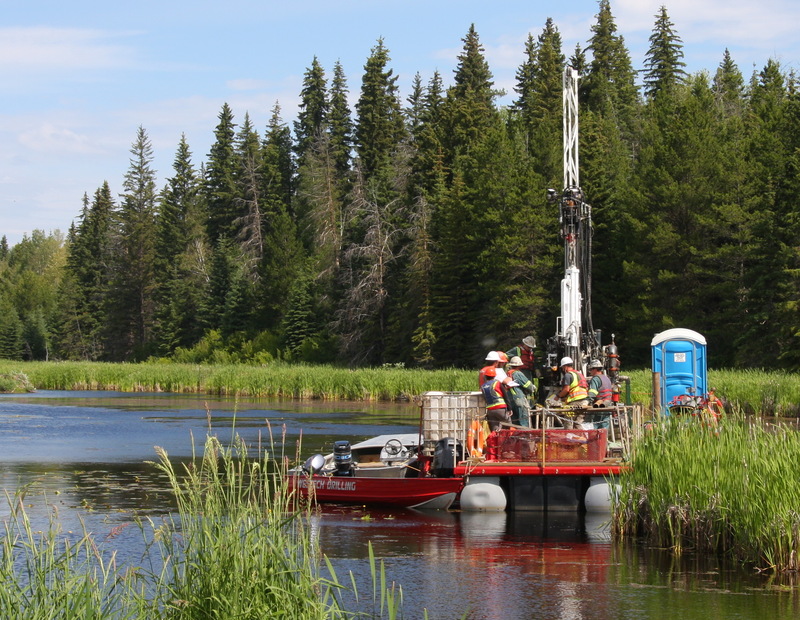 In this image, crews use a barge with a drill attached to draw soil samples safely without disturbing the surrounding environment. Crews use a barge with a drill attached to draw soil samples near Highway 16. Click on the image to see the full album on Flickr. The 61-year-old Salmon River Bridge on Highway 97 north of Prince George is being replaced to handle an increase in commercial traffic. Over an 8-hour period on a cold November night, the old bridge was moved to be used as a detour while the new one is constructed. As part of a larger project widening the 440 kilometre portion of Highway 97 between Cache Creek and Prince George, the Stone Creek to Williams Road project will upgrade 3 kilometers from Stone Creek to Williams Road from the current two lanes to four lanes. 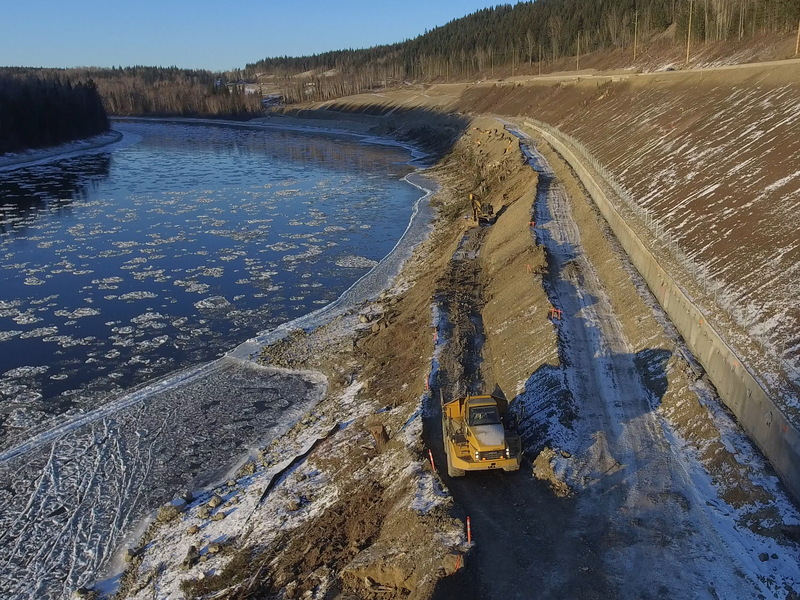 In this image our contractor is placing rip-rap, or rock armour, to stabilize the banks along the Fraser River, while the river runs low. Placing rip-rap, or rock armour, to stabilize the banks along the Fraser River. Click on the image to see the full album on Flickr. These projects make travelling safer and quicker and provide northern communities with a trade corridor that will support increased commercial traffic to meet the needs of an expanding economy. Learn about the Ministry of Transportation and Infrastructure plans.